The SpeedPak from Clauss ainât no ordinary utility knife. 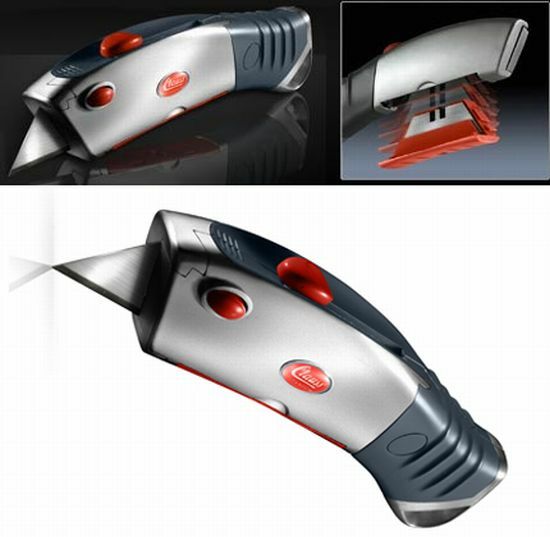 As shown in the picture, the knife holds a cartridge cabinet underneath its belly, with each cartridge bearing 10 Titanium Bonded double-edged blades, ensuring safety. As we know, Titanium is 3 times harder than steel, one can expect the blades to stay shaper, longer. You can buy the knife (along with a cartridge) for just less than $18. Separate cartridge available for $6.